NASA’s second supersonic, edge of the Earth’s atmosphere, test of the flying saucer like Low Density Supersonic Decelerate (LDSD) was postponed this morning due to dicey weather conditions. 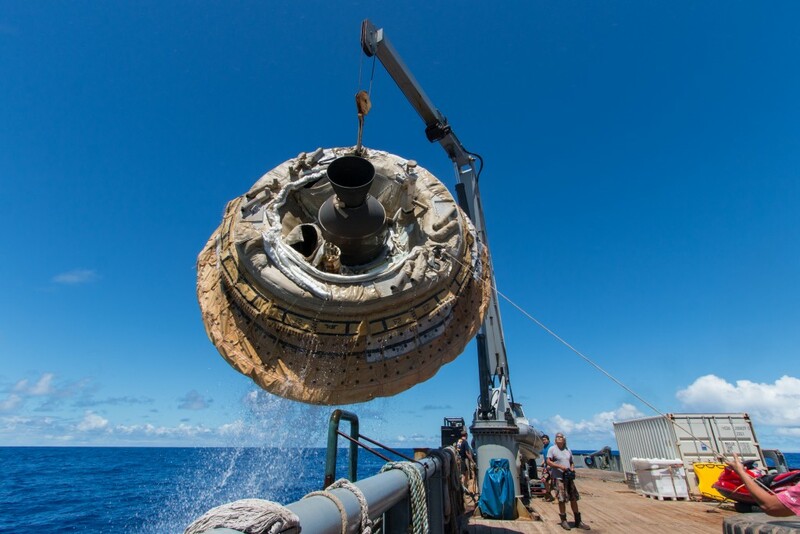 In order for the flying saucer to be safely recovered wave heights must be low enough to minimize the chance of damage to the LDSD or injury to the recovery crew. As usual NASA has scheduled the next attempt, which will be tomorrow, June 3, 2015 in the early afternoon. According to NASA, the LDSD test represents another opportunity for people to witness a unique experimental flight test. Images from the spaceship will be transmitted back to earth in real time. LDSD has been designed for its eventual Mars mission, which will involve it falling through the Martian atmosphere, deploying a supersonic parachute and allowing for a gentle landing of what will be a very expensive and important payload of instruments and perhaps, one day, humans. 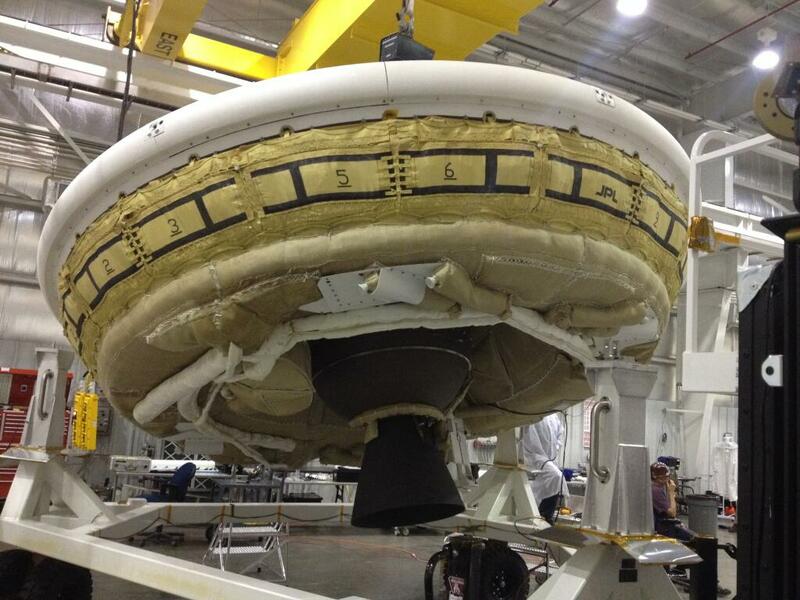 Following is an image from the recovery of the LDSD after its first successful flight test.